In our last post on digital ad fraud we talked about the overall percentages of fraudulent ad traffic and briefly broke it down by country. We found that globally 12% of ad traffic was fraudulent. But there's normally a big difference in the amount of fraudulent traffic between desktop and mobile devices and different regions of the world also have different levels. 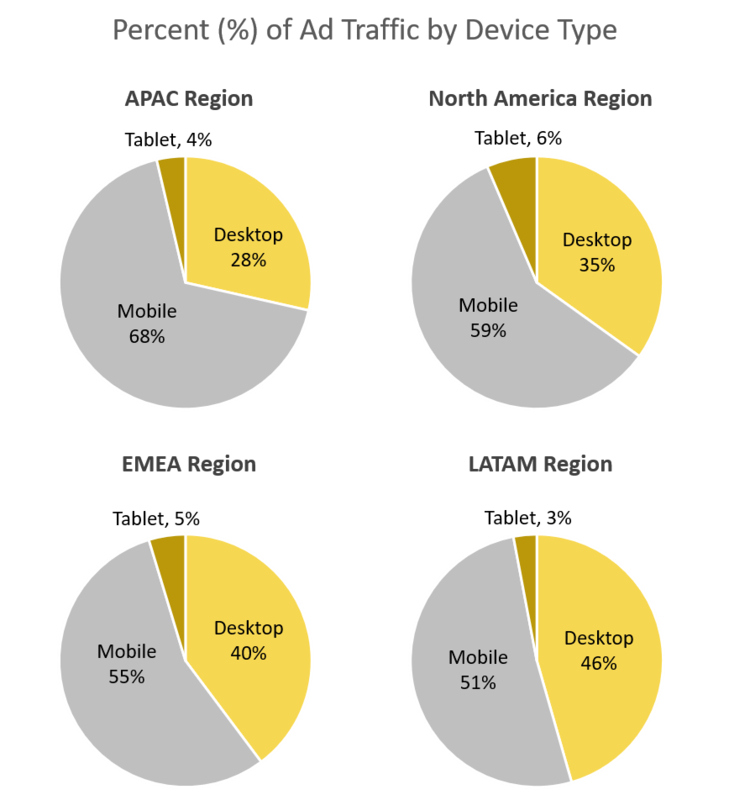 So in this post we're digging deeper into the data and breaking it down by global region and device type. Download a copy of this data. A PDF of our Ad Fraud Region Report for September 2018 is provided in the link below. As a refresher, these results stem from the analysis of digital ad traffic that we observed in September 2018. Our pixel-based technology regularly monitors data from over 640 million unique users, 1.2 billion unique devices, and 12 million URLs monthly. We map the latest devices, locations, bots, behaviors, and hacking tactics that are being used by digital fraudsters. The fraudulent percentages reported here represent ad traffic determined to be generated by malware, bots, compromised devices, and other nefarious means, rendering it fraudulent. The data here is broken down into four major business regions: APAC (Asia–Pacific, including India), EMEA (Europe, the Middle East and Africa, including Russia), LATAM (Latin America, including Mexico), and NA (North America). North America Has Highest Percentage of Fraudulent Traffic. 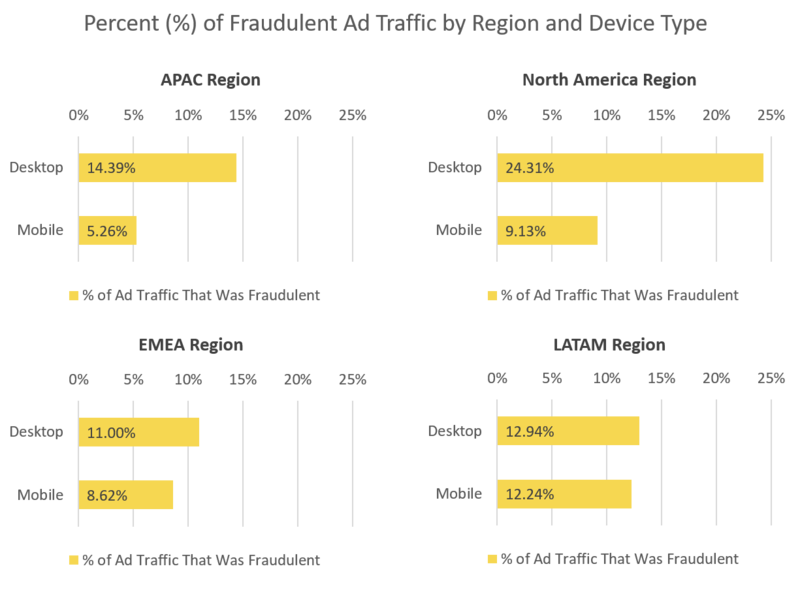 As we've demonstrated here, ad fraud rates can look very different depending on geography and device type. In the coming weeks we'll be looking into the ad fraud rates as they break down according to browsers, operating systems, and more.